Warmer temperatures have sent the vines into overdrive these last few weeks and while it is too early to say definitively, so far, things are looking great for the 2018 vintage. 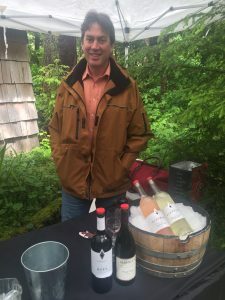 In addition to the mowing, spraying and vine-tucking, we have had a number of events to promote our wine across Vancouver Island. 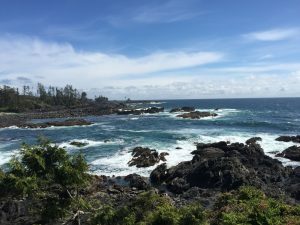 In early May, we attended a wine pairing event at the Black Rock Oceanfront Resort in Ucluelet where our wines were carefully paired with a tasting menu featuring local cuisine. 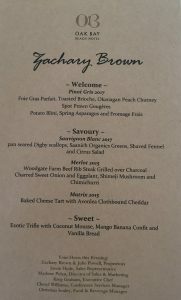 At the end of May, the chefs at the Oak Bay Beach Hotel held a winemaker’s long table dinner featuring our wines paired some exquisite dishes all served “family style”. From Victoria, we headed to Tofino for the 16th annual Grazing in the Garden event held at the Tofino Botanical Gardens. 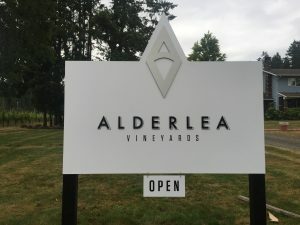 Alderlea Vineyards has attended this event every year since its inception and we were fortunate to have a dry day for tasting. 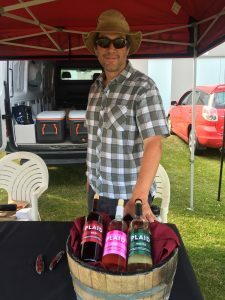 We have kept up our farmers’ market presence in Nanaimo with the Island Roots market moving back outdoors to Beban Park for the summer. We picked up a few dates at the award-winning Esquimalt Farmers’ Market for the summer. The tasting room at our winery is open during the summer on weekends though our white wines are selling out quickly, a nice problem to have. We will have our red wines available throughout the summer. We also have our new signage up for visitors. 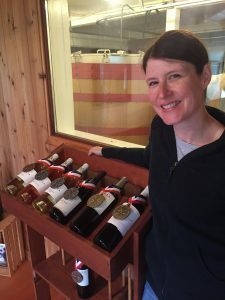 We had the chance to participate in a few wine competitions this spring. Zac and I were both judges at the Northwest Wine Summit in Penticton, and Zac went on to judge in the Oregon competition as well. We entered all of our wines in this competition and each wine won a medal (gold, silver or bronze). This is great recognition for winemakers Zac and Roger Dosman. We also celebrated a win for our 2017 Bacchus which collected a gold medal in the White Vinifera category of the 2018 All Canadian Wine Championships.